Russian media presents a lot of contradictory prognoses for the future of the Russian economy. On the other hand representatives of opposition tend to present the current state of the Russian economy as catastrophic. “Russia’s economy will hit some speed bumps in 2019 and inflation will rise, a Reuters monthly poll showed on Thursday, due to risks of new sanctions, a weaker rouble, and a planned tax increase. 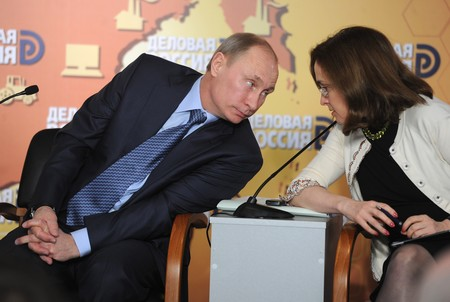 The head of the Central Bank of Russia Elvira Nabiullina is with Russian President Vladimir Putin. 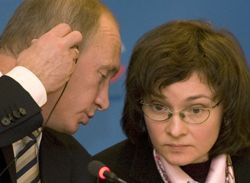 She was Putin’s economic adviser between May 2012 to June 2013 after serving as Minister of Economic Development and Trade from September 2007 to May 2012. Elvira Nabiullina is the only Russian woman who was included by Forbes in the list of the most influential women of 2018.
digital cameras and flashlights – from December 1st. The head of the Rosselkhoznadzor (state agricultural office), Sergey Dankvert, warned on the website Newizv.ru of the risk of the jumping of the purchase prices for milk. According to him, this jumping is expected to happen in April 2019. Milk is not the only food product for which the price is growing. 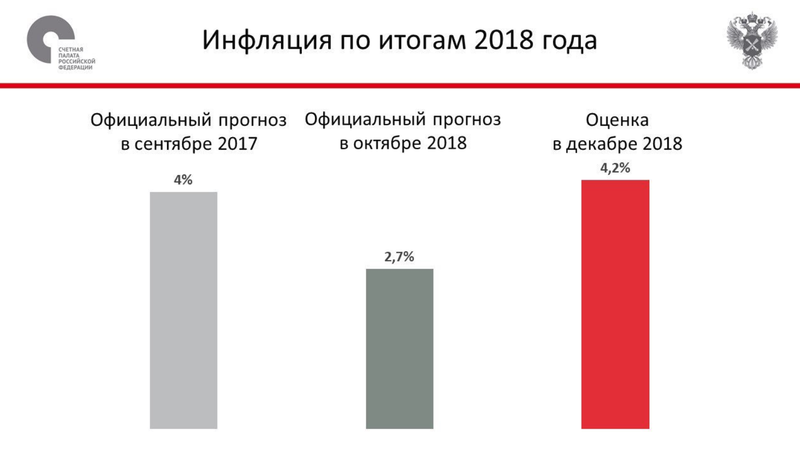 Another article published by the same Newizv.ru site informs that the cost of the residential real estate in Moscow will jump in 2019 by 15-20%. The site lifehacker.ru informs that costs of housing and communal services will also increase in 2019. The site explains that starting January 2019, several regions will switch to a new waste management approach. Companies will be created that will be responsible for the removal and disposal of garbage. As of now, the fee for the garbage collection is included in the bill for the maintenance and repair of the housing stock. Under the new plan, the fee for the garbage disposal will be separate. And the service of the regional operator will be billed depending on the number of residents. Also, the owners of land and garages will have to pay for the garbage collection – all this can lead to an increase up to seven times in payments for garbage collection. Furthermore gasoline, diesel and trucking prices are also expected to rise. 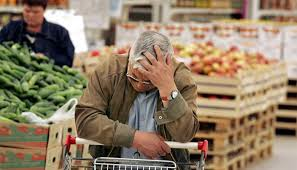 “The Ministry of Labor predicts the dismissal of more than 230,000 Russians in 2019. Most at risk are workers of banking sector, employees of trucking companies, employees of mining companies and computer manufacturers. “Experts of the Ministry of Labor surveyed 46,000 companies that employ 12 million people, and they found areas of mass layoffs, expected in the first half of 2019. It’s interesting that almost none of the quoted above Russian publications even mention western sanctions or shortcomings of the Russian economy as the causes of the Russian economic problems. Instead, the articles name a lot of secondary and minor causes. Some explanations sound ridiculous. “Some companies are forced to go for mass layoffs due to the fact that their products or services are not in demand. It is possible that entrepreneurs initially took up unprofitable direction, without conducting thorough marketing research”. Also, Rambler connects the rise of product prices with newly introduced labeling of products in Russia. This August, the newspaper Izvestia wrote that government proposes to obligate manufacturers to indicate on the labels of their food products the content of fat, sugar, salt, and other ingredients. Some actions to fulfill that plan are already started. From December 26, products containing genetically modified organisms (GMOs) should be marked with a special sign in Russia; the mark is applied to the package if the content of GMO in the product exceeds 0.9%. Rambler explains that labeling is needed to protect against counterfeit and falsification. It will also help the business to optimize workflows and get rid of paperwork. The consumer will be able to scan the code of any product using a mobile application and it will show all the information about the manufacturer, delivery, and receipt to the store. But due to the introduction of such a system, manufacturers have to buy new equipment and invest in installing software that, albeit slight, will also lead to higher prices. Finally, explains Rambler, in 2019, all products in plastic packaging can become more expensive because the government is discussing an increase in environmental fees, and the cost of disposing of plastic can be 2.7 times higher. Do Russians believe such explanations of the increased cost of living?